Manchester United are flying high yet again, as they registered a 2-1 win over Brighton and Hove Albion on Saturday. A first-half penalty from Paul Pogba set the ball rolling for the home side before Marcus Rashford was able to decisively net a second goal. However, in the second-half the Seagulls attacked with a vengeance, and were able to net a 72nd-minute goal through Pascal Gross. This set up things for a tense finish, but the Red Devils were able to put in the same kind of defensive display that they had against Tottenham last week, and saw the game through. With this finish, Ole Gunnar Solskjaer now has seven wins from his first seven games in charge of his cherished club. While this is an all-time best Manchester United record, it also breaks a Premier League number. 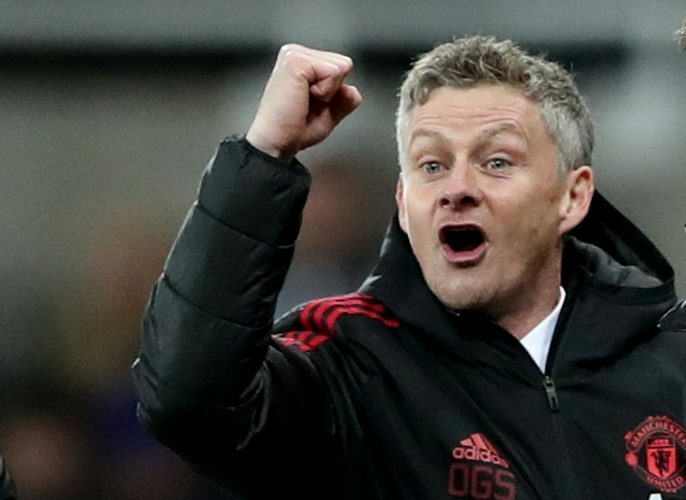 Through Saturday’s win, his sixth consecutive one in the league since taking charge, Solskjaer now joins Pep Guardiola and Carlo Ancelotti, who also won their first six games at the helm of Manchester City and Chelsea respectively. However, this also means that the Norwegian gaffer has now reached the peak, as no manager has been able to win their first seven Premier League encounters, and the game against Burnley at the end of this month will put that to the test. In fact, Solskjaer’s flawless 100% record itself will come under scrutiny, as the Red Devils next face Arsenal in a challenging FA Cup tie at the Emirates. Regardless, the former striker will be pleased with the sort of attacking ethos he has brought back to the club, staying true to the DNA that first gave them their hallowed status. Now, it will be paramount for him to secure a top-four finish, and also try to attain a piece of silverware while he is at it.